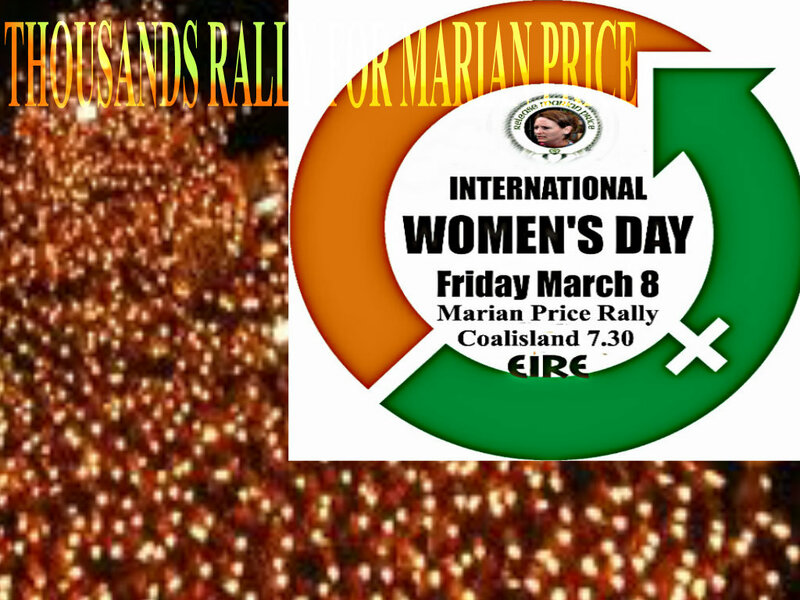 Reports are coming to our desk, of a huge rally of several thousand people, under cover of darkness, in solidarity with the interned Marian Price, taking place in Coalisland as we publish. We are awaiting independent confirmation of theses reports, before publishing further details on the International Women's Day rally against internment without trial in British Occupied Ireland. Meanwhile here are the latest updates from Irish Republican News. capacity to mount relatively complex operations. of the men were later released unconditionally. of the British war cabinet. Derry incident, following an apparent dispute within the organisation. arrests, although one man has since been released. [an] attack on Derry people or state agents did". Unionist and republican hardliners alike challenged his remark. type of comment," said the DUP's Gregory Campbell. He said the same statement could have been made about past IRA actions. a disastrous situation in Derry," he said. real and active threat against his life". PSNI", he said, adding: "I will not be silenced". the recent flags disturbances were arrested last week. Dowson were later awarded bail. small nationalist enclave in east Belfast. law-breaking in connection with the loyalists' illegal parades. reject bail conditions as a protest against their arrest. one-man hunger strike for more than 24 hours. in Belfast eight years ago. differently than another," he declared. undermine the PSNI" and heighten tensions. the subject of a hoax loyalist bomb attack. only interested in the politics of 'us and them'," he said. compared with only three loyalists. The perception of loyalists is "not the reality", he said. itself a 'pat on the back'. mark two years in government. sacrifices are beginning to pay dividends". polls and the upcoming by-election in Meath East, set for March 27th. Sinn Fein leader Gerry Adams said the government should 'take a hike'. opposite to what it said it was going to do." been progressed satisfactorily," he said. two areas they had yet to 'tackle properly'. austerity and of significant hardship for citizens. devastated by stealth taxes and cuts to wages. emigrated in 2011 and that trend has continued. 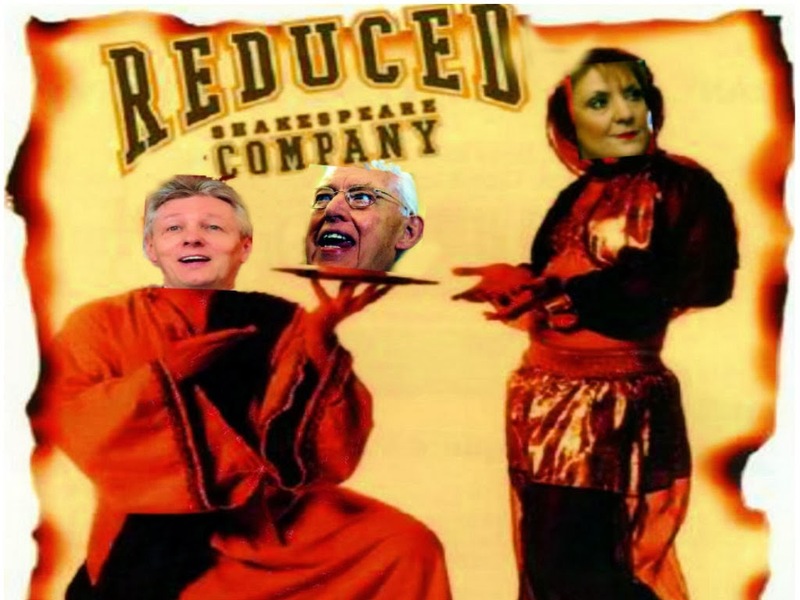 them off or denying them wages or redundancy payments. suppliers jumped by 36% in the third quarter of 2012." been especially and unfairly targeted. income families who are bearing the burden - again. policies and caused significant hardship for citizens." the electronic scanning machine will not now be installed in the jail. signed up to in August 2010". similar to that used at airports -- would not now be installed. using PoWs from Roe House for the trial tells its own tale," RSF said. was prison warders who conducted the trial." that they have to accept a drugs test before they can be granted parole. harassment and intimidation of the POWs by the warders". -- PoWs with full political status." Marian's release at this week's meeting of Fermanagh District Council. peace process," said Councillor Swift. But she reserved her deepest anger for the moderate nationalist SDLP. within the ranks of the SDLP." said his party remains opposed to internment without trial. week, according to Sinn Fein. argued that she should be released. on the hearing. Mr McGuinness also refused comment. released immediately. They are held without charge or trial." "which is not associated with terror and mayhem". the company's European headquarters in Frankfurt. flame-top roof as the key attractions of the design. the fun awaiting on the open road". But Campbell claimed Kia had caused "deep offence". praised Kia for its "swift action". accepted that you would be involved to defend your country. have got involved if I hadn't believed that." In 1976, Mairead was arrested after taking part in the IRA's campaign. cells, "Men in riot gear armed with batons appeared in the cells again. of our political activities. We want to be regarded as prisoners of war. hunger strike in united action with the men in the Long Kesh 'H Blocks. continued on hunger strike until 19th December when it seemed the N.I.O. had agreed to the prisoners' demands. This agreement was then retracted. on her release from Maghaberry Prison, "I felt it was the final insult. It's designed as psychological torture, as a way of intimidating us." values in life and making her more committed to her political beliefs. think I'm as good as anyone else and that particularly goes for any man. officers in the process. Unthinkable, isn't it? "unionist community" who feel they are being "treated unfairly". neighbours which in some ways is true. being subjected to the legal consequences. have been breaking the law since the start of December. flag think the PSNI haven't been tough enough. The first minister has missed a golden opportunity to show leadership. progressive has pandered to the lowest common denominator. administration manager of the splinter group Britain First. run' - wasn't granted bail. promising he'd be a good boy. - many of them members of its own community. police helicopter is never heard. supposed to hail a new era in policing - not that you would know it. which is in fact the very definition of that overused phrase. the PSNI is being impartial. "Our job is to express the concerns as we hear them in the community,"
I would question the use of the phrase "large section of our community". loyalist community rather than feeding into their fears and hysteria.